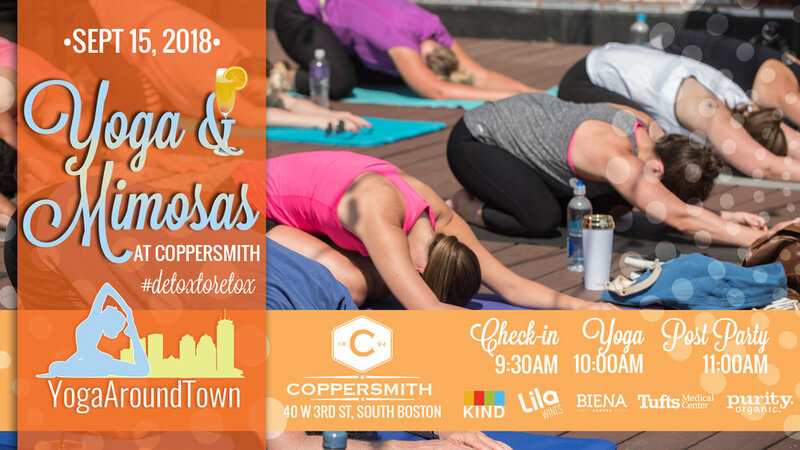 Start your Saturday with Yoga & Mimosas at Coppersmith in Southie! Class will lead you through a fun all level flow that will have you moving, breathing and working up a sweat for 60-minutes before we #detoxtoretox with mimosas afterward! All tickets include a Lila Wine Sparkling Mimosa and goodies from our sponsors! Check out our full Yoga & Mimosas at Coppersmith series and be sure to register for the correct date! Meet your Yoga Around Town instructor, Leah Frasca! Click to read Leah's bio.